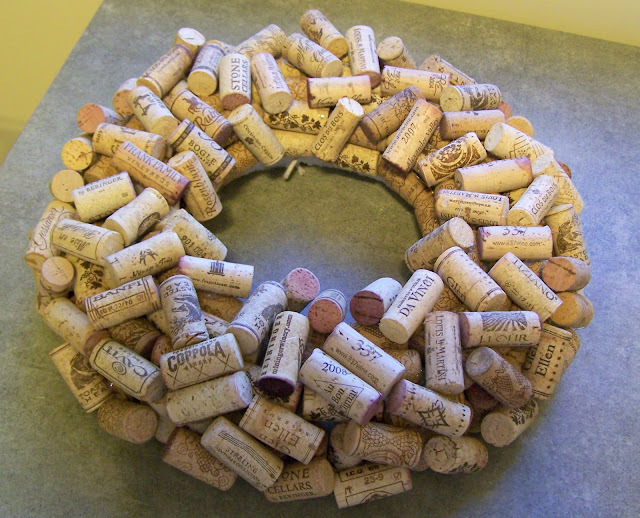 I have been wanting to make a wine cork wreath for some time. I have made a few crafts using corks including trays and cork boards. Our neighbors had a wine-tasting party this past weekend and I decided this would be a fun hostess gift to bring. I used the excellent DIY tutorial here. 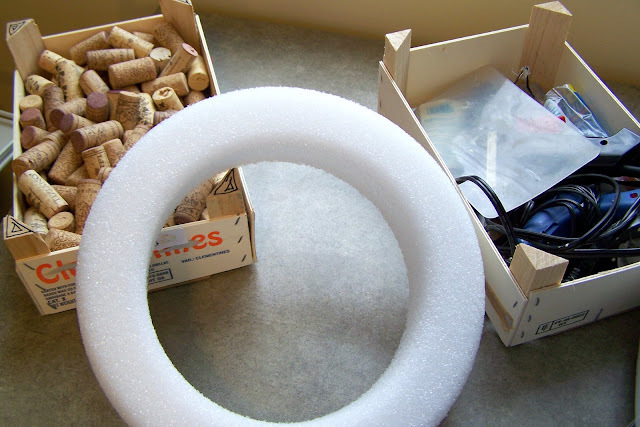 It took me about 45″ and a LOT of hot melt glue! My photos aren’t that great because I was making it 45″ before the party started! I am guessing I used about 80 to 100 corks, about 1/3 of my collection. (I did not drink all these bottles. I obtained a bunch from a local wine restaurant. Those corks are all very similar in design, so I used those for the base and the more unique corks on top. Our neighbors were thrilled and we had a fantastic time at the party! Jane, Your wreath looks great! 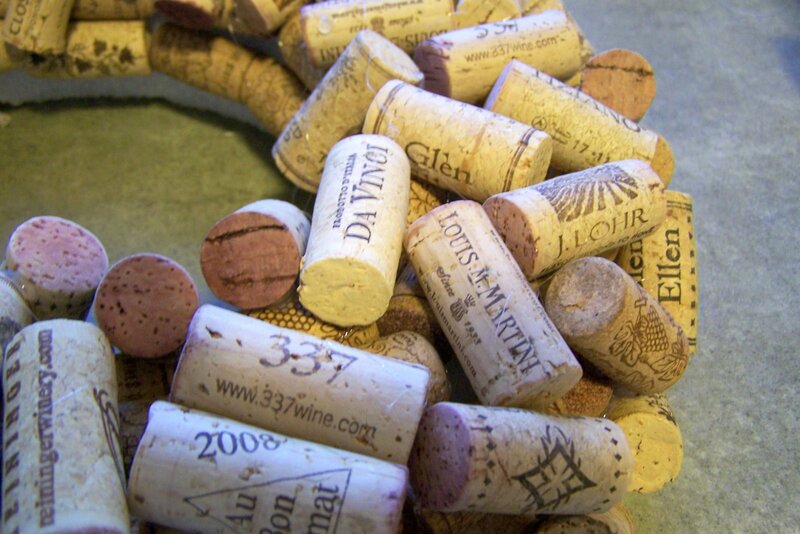 I’ve been thinking about using my corks. They add a nice earthy element to a room! Jane that came out great! Can’t believe it was finished that quickly- wow. very cool. when i first saw it i thought, did she drink all those bottles of wine?? lol.